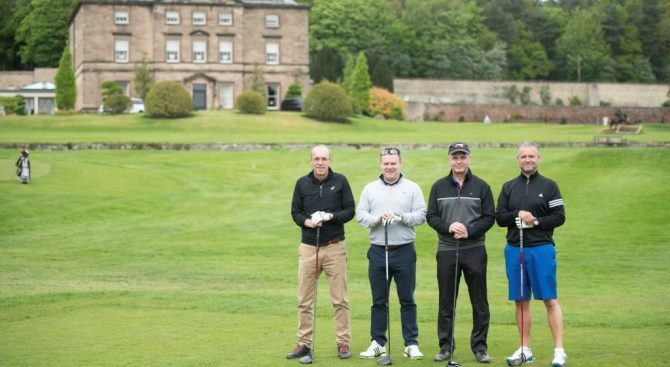 Last week Stadium Export Services entered a team in to the 2018 Children North East Charity Golf Tournament at Close House, Northumberland. Our team of four included golfing enthusiasts from Union Electric Steel, based in Gateshead and TechnipFMC Umbilicals in Walker. Eight corporate teams participated at one of the region’s most challenging golf courses to win the Children North East Tournament Trophy. Although Stadium was unsuccessful in its bid to win this year’s event, a respectable score was achieved and our CEO, Brian Smith, was one of two players to take home the ‘Beat the Pro’ prize on the par 3. The event raised over £4,000 for Children North East and received sponsorship and support from the likes of Barclays Premier Banking and Virgin Trains East Coast. For 127 years Children North East has been working with young people and their families, schools and communities to ensure they are healthy and happy. The organisation helps them to grow their confidence and to provide them with opportunities that will help to improve their future career prospects. Congratulations to this year’s winners of the golf tournament, Pipeline Engineering!